The biodynamic preparations are numbered from 500 to 508. Preparation 500 and 501 are made by using cow dung and quartz silica respectively. The other seven preparations are made by fermenting herbs in a peculiar manner. These herbs are yarrow, chamomile, stinging nettle, oak bark, dandelion, valerian and equisetum respectively. These preparations 502-507 are called the compost preparations and are utilized in making the Biodynamic compost, liquid manures and Cow Pat Pit. 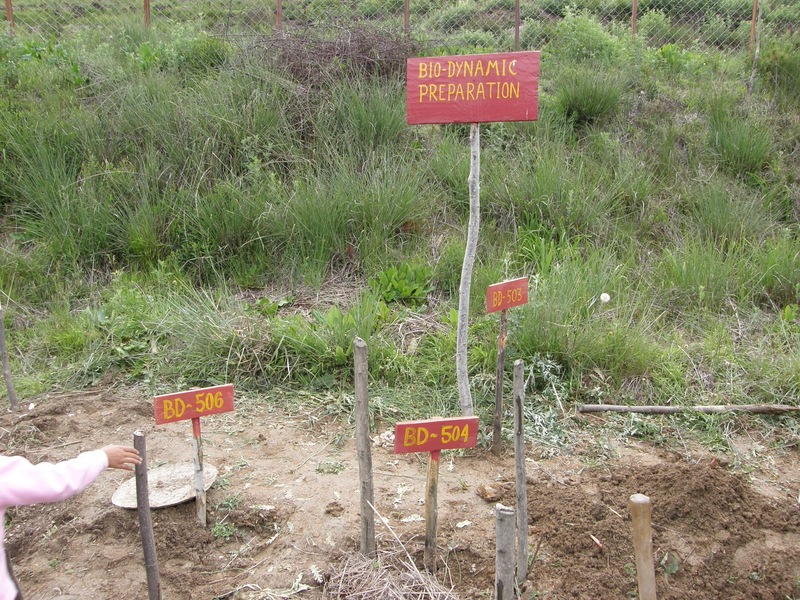 These preparations activate synthesis of different nutrients in the final biodynamic compost. These are the components of biological agriculture, capable of affording long-term sustainability to agriculture and particularly to the ecosystem. Other preparations like liquid manures, CPP and biodynamic stem paste are utilized for a number of cultural practices in farming. Another unique feature in biodynamic agriculture system is the use of biodynamic planting calendar for various farm operations. Efforts are made to enliven the soil and restore its fertility in the form of humus, increase the living system of soil by skilful application of appropriate crop rotation. The life patterns of all living organisms are woven into the cosmic rhythms. The present scientific world may not accept the fact regarding the influence of the cosmic rhythms and the constellations on the life forms. Human life, as well as animal and plant life, is strongly dependent on the rhythms of the earth. The plant and animal life is instantly influenced by the sidereal and synodic relationships of the sun, earth, moon and other planets. On the basis of such influences the planting calendar is prepared for agricultural operations during different timings of the year based on astronomical ephemeris. There are many experiences and scientific studies from different parts of the globe which prove the efficacy of using the cosmic rhythms in farming. Moreover it is a low-cost input and rediscovers the tradition of living in tandem with nature.